ATLANTA - July 4 – Porsche teams were on both ends of the ecstatic-miserable spectrum following the Brumos Porsche 250 at Daytona International Speedway. Acxiom GT class points leaders Leh Keen (Charleston, SC) and Dirk Werner (Germany) won for their third straight race and four of the last five to increase their points lead. 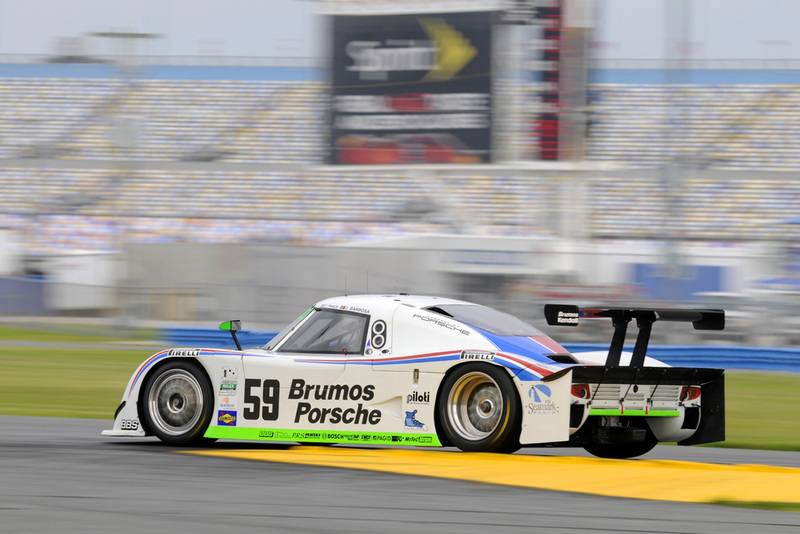 The Porsche-powered Daytona Prototypes were boiling mad following disappointing finishes. For the third straight Grand-Am Rolex Sports Car Series presented by Crown Royal Cask No. 16 race, the spotlight was on the #87 Farnbacher Loles Racing Porsche 911 GT3 Cup entry of Keen and Werner. The trifecta victory increased their GT points lead to 29 points, 221-192, over Pontiac drivers Paul Edwards (Ft. Collins, CO) and Kelly Collins (Newport Beach, CA), who finished seventh. Porsches occupied two positions on the GT podium, with the #TRG Porsche 911 GT3 of Justin Marks (Chico, CA) and Andy Lally (Newport, NY) finishing third and jumping two spots in the point standings to fourth. The top finishing Porsche-powered Daytona Prototype was the #59 Brumos Porsche Riley of JC France (Ormond Beach, FL) and Joao Barbosa (Portugal) in eighth position in the 250-mile race held in staggering heat (almost 100 degree F) and humidity (more than 80 percent) on the Fourth of July. 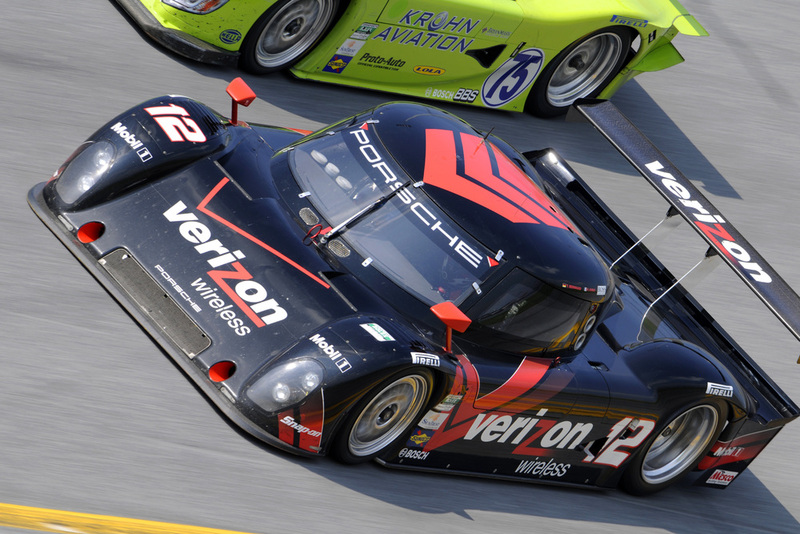 The #12 Verizon Wireless Penske Porsche Riley of Porsche works drivers Timo Bernhard (Germany) and Romain Dumas (France) finished a season-worst 11th, the last car on the lead lap. The race was won by the #10 Sun Trust Racing Ford Dallara of Max Angelelli (Monaco) and Brian Frisselle (Aspen, CO), the fifth team to win a Grand-Am race this season. The Rolex 24 winning #58 Brumos Porsche Riley of David Donohue (Malvern, PA) finished 32nd overall and 17th in DP after Donohue had an electrical fire that shorted out his dashboard and forced him to be towed back to the paddock for repairs after just five laps. Porsche drivers now rank in five of the top eight spots in the championship battle. Farnbacher Loles’ Eric Lux (1acksonville, FL) is tied with TRG’s Spencer Pumpelly (Suwanne, GA) for third with 185 points. Dreams of any Porsche DP championship scenarios probably melted in the heat at Daytona. “We are doing a good job in the infield, and we go well when we run alone on the banking, but we hit the rev limiter when running in the draft on the NASCAR portion – just running out of gear,” Bernhard said. Dumas and Bernhard still rank fourth in the driver’s standings with 182 points but luckily only lost four points to leads Scott Pruett (Auburn, CA) and Memo Rojas (Mexico), who finished seventh in their Lexus Riley. Winners Angelelli and Frisselle are only one point behind Pruett and Rojas heading into the next race, the Porsche 250 at Barber Motorsports Park in Brimingham, AL, July 17-19. 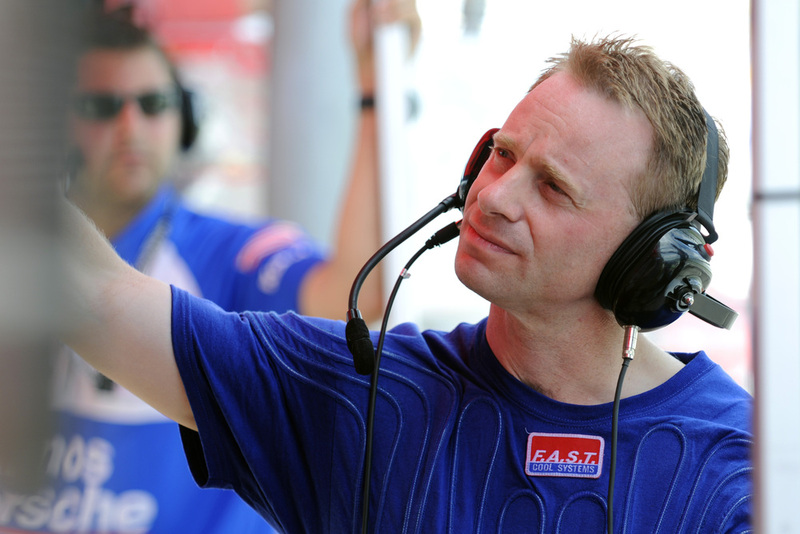 Round 8 of the Grand-Am Series takes place on 19 July in Birmingham in the US State of Alabama. Is the Porsche Boxster a “Girl’s” Car?